 The Energy Cooperative exists to provide safe, reliable and affordable energy to our members. As one of those members, you have a perspective that is valuable to us––and we invite you to share it throughout the year. There are two important ways you can do this in the coming months. The first is to participate in cooperative elections. The second is attending our annual meeting in May. Cooperative principle number two is democratic member control. Each year, members elect a Director from three of our nine districts. Directors are entrusted to provide strategic direction for the cooperative and to ensure it is governed appropriately. Directors are also members– just like you. This year, Directors for district 3, 4, and 7 will be elected. You will receive letters, emails, and notifications to help cast your ballot. The election results are announced during the annual meeting. At the annual meeting, you’ll have the opportunity to meet the members of the Board of Directors, and myself as we share priorities and challenges for the coming year. Every energy bill you pay helps to ensure better reliability for you and your neighbors. Your dollars are reinvested locally into improvements that impact the service and affordability of your energy. There is no substitute for in-person engagement. If you’ve never attended our annual meeting, or if it’s been awhile, we invite you to attend this year. Our cooperative family looks forward to hearing from our members. We’ll bring the food and door prizes. We will also give each member household who attends the annual meeting a five dollar credit on their energy bill. Mark your calendar for the annual meeting at the Reese Center on the Ohio State Newark & Central Ohio Technical College Campus on May 20th at 6:00 pm. As a member of The Energy Cooperative, you are more than a customer, you are a member who can participate in the annual election for our Board of Directors. This gives you a voice in how your Cooperative is operated. This year, we are expanding the ways you can cast a ballot in our cooperative elections. The Energy Cooperative is working with Survey & Ballot Systems to offer electronic voting, in addition to our traditional mail-in paper ballots. Electronic voting is a secure and easy way to vote. BEGINNING AS EARLY AS APRIL 5, MEMBERS WILL RECEIVE A PAPER BALLOT AND ANNUAL MEETING NOTICE. EACH BALLOT CONTAINS A UNIQUE PASSCODE THAT ALLOWS MEMBERS TO VOTE ONLINE. Democratic member control is one of the seven core principles for cooperatives. With the addition of electronic voting, our members can vote and participate in the democratic process with ease. This year the Board of Directors seats in Districts 3, 4, and 7 are up for election. The results of the election will be announced at the annual meeting. Please make sure to attend this year’s annual meeting on May 20, 2019 at the Reese Center to hear more about The Energy Cooperative’s business and learn the results of the election. If you have any questions regarding electronic voting, please contact our member service department at 1-800- 255-6815 or visit our website at myenergycoop.com. Information on candidates and step by step instructions for the ballots will be available on our website in April. Mark and return the paper ballot in the enclosed return envelope. Login and click VOTE NOW in SmartHub. Visit The Energy Cooperative’s Website and click VOTE NOW. You will need to log in using the unique election passcode provided in the paper ballot. Your vote will only be counted once.